Yesterday, the U.S. Preventative Services Task Force (USPSTF) ruled that there is insufficient evidence to make a recommendation, either for or against, routine screening for cognitive impairment in older adults. Today, the press is ablaze with sloppy reporting on the matter. Many news stories (like this from US News and World Report) are conflating cognitive impairment with dementia, but readers of this blog understand that cognitive impairment may be very mild whereas dementia is, by definition a severe loss of cognitive capacity. Many others (like this from Time), are interchanging dementia and Alzheimer's disease, which inappropriately implies that the two are one in the same, and obscures the fact that Alzheimer's is but one of the many causes of dementia. To be clear, the USPSTF did not rule against anything. They merely concluded that the evidence is not strong enough to make a recommendation one way or the other. More importantly, their ruling was related to "screening" of "older adults" for "cognitive impairment". In other words, should the healthcare system invest in regular cognitive assessment of all older adults, whether they suspect a problem or not? Their conclusion? They're not sure. They're not for it and not against it. Rather, the public should monitor their cognitive health vigilantly and promptly report concerns to their physicians for a thorough evaluation. This will allow early intervention against treatable problems like thyroid dysfunction, vitamin deficiency, anxiety/depression, sleep disorders, and out of control diabetes, all known contributors to cognitive deficits. It will also facilitate early diagnosis of Alzheimer's disease. This is important because Alzheimer's can be effectively managed for a significant percentage of patients. 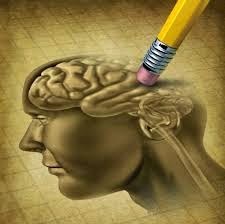 Effective management of Alzheimer's includes early diagnosis, physical exercise, proper diet, strict control of hypertension and diabetes, poly-therapy with a cholinesterase inhibitor and Namenda, ongoing social and intellectual stimulation, and caregiver education. All of these interventions have been shown to promote optimal disease management and, when brought together as a robust therapeutic regimen, can be surprisingly effective.